The warmer air is located in the ceiling area of a room. Since cats prefer warm and cozy areas to nap and hang out, the higher up the cat is, the warmer that area is. It is common to find cats on top of washers, refrigerators, televisions, and other electrical appliances. A cat may want to get away from another animal that it finds aggressive or threatening which often is the result of the improper introduction of the pet to a newer cat (or other pet). The need to be in a high place may be instinctual. In the wild, height gives a cat the advantage of a concealed place from which to hunt. For our domesticated cats, a high place means a better observation point from which the cat can survey his "kingdom" and be more aware of what is going on with the activities of people and other pets. In almost all species, dominance is associated with height and can indirectly be seen as a sign of social status. 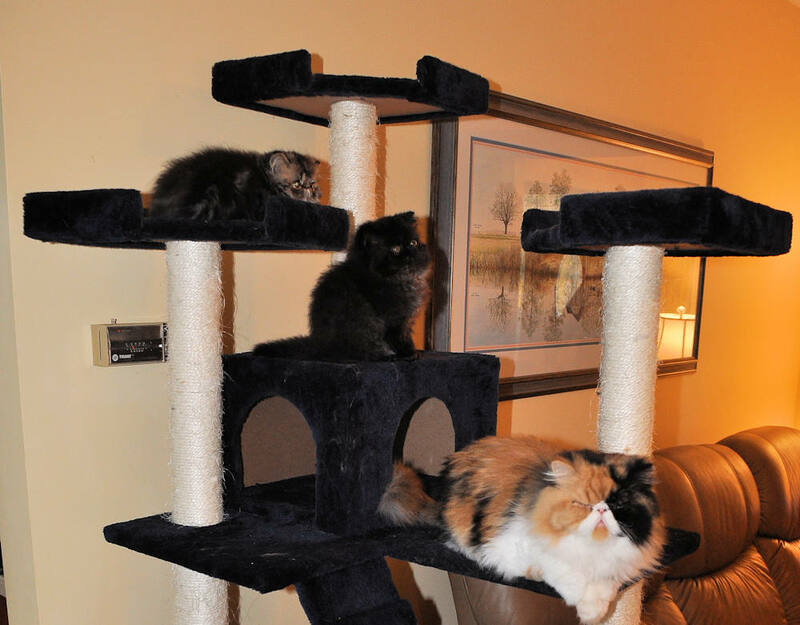 In a multi-cat household, the cat that "controls" the highest perch is most often the most dominant and literally the "top cat". In any event, as most cat owners know, cats do rule from on high!